March 2018 - Work Smart. Live Smart. National Sleep Apnea Day: Is Your Sleepiness Serious? Facts According to American Journal of Respiratory and Critical Care Medicine the accident risk is two to six times higher for those suffering from sleep apnea than it is for regular drivers. Everyday in Canada, car crashes are caused by drivers with sleep apnea falling asleep at the wheel. 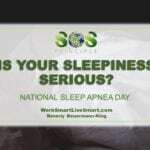 I grew up with people who … [Read more...] about National Sleep Apnea Day: Is Your Sleepiness Serious? National Cleaning Week: Can Spring Cleaning Improve Your Mood? Did You Know That Spring Cleaning Can Improve Your Mood Long ago are the days where the onset of spring meant that housewives everywhere, opened the windows, shook out the rugs and cleared out the closets. Today, we are far too busy to dedicate a week or even a couple of days just to tackle spring cleaning. Many of us have forgotten that spring … [Read more...] about National Cleaning Week: Can Spring Cleaning Improve Your Mood? 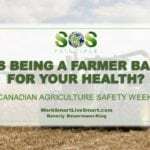 Stress, Health and Farm Life: Is Being A Farmer Bad For Your Health? 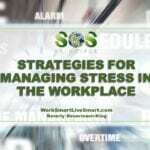 Being a Farmer Growing up on a dairy farm, I know first hand how stressful this occupation can be. It isn’t even an occupation – it is an all-encompassing lifestyle. Up before the sun and often working straight through the day until the late evening making sure that the cows are milked, the barn is cleaned and the hay is baled and loaded … [Read more...] about Stress, Health and Farm Life: Is Being A Farmer Bad For Your Health?